Along side this sculpture, the first project that directly explores our themes of interest is a Paper-Mache pinata in the shape of an assault rifle. The idea behind the shape is to address and make a statement against the absurdity of the use of assault weapons within public safety and law enforcement. Both candy and community resources are placed within the piece, to preserve the collective concept of a piñata, but also to support residents, their families and friends. Through a familiar and enjoyable action, this project aims to further unify the community to take action against the use of assault weapons. The style behind this sanctuary is rasquache, making do with what’s available; it invokes feelings of “home” in a natural and aesthetically uncomfortable way. Encompassing our annual theme of The Commons | The Other, we have united our unique cultural identities to create a space that is representative of our group. We have decided to challenge societal norms of identity by inviting people into this sacred space and spurring uncomfortable feelings for those who think our “ethnic” cultures are easily accessible. We have also challenged what it means to be “the other,” and we have concluded that everyone is an other and everyone has an other—that identities are intersectional, and all equally noted. 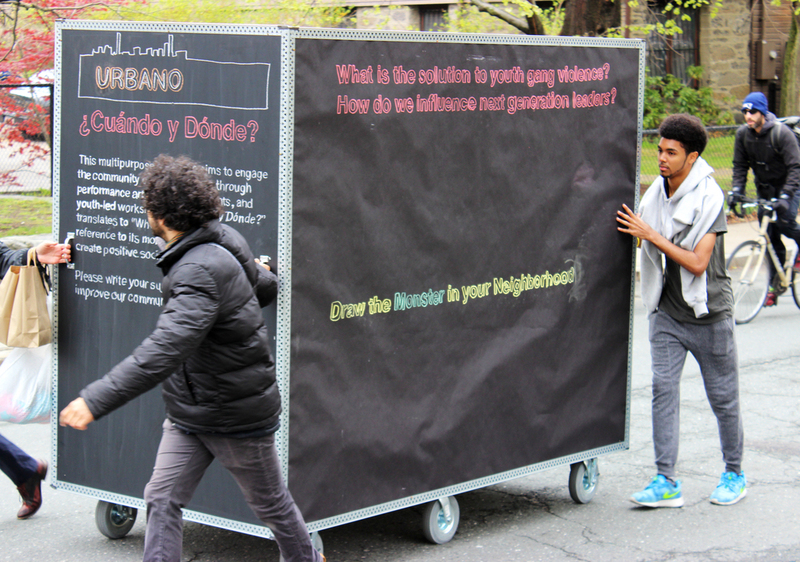 The Urbano Fellows, in collaboration with lead artist Salvador Jiménez-Flores, developed an interactive, multi-purpose, mobile sculpture. 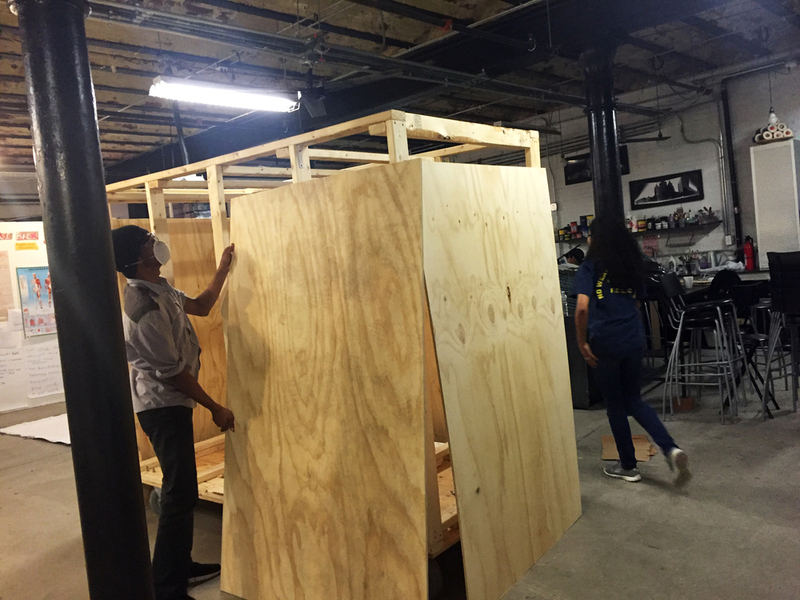 The Urbano Fellows have redesigned the Nomadic Civic Sculpture into the Black & Brown Gallery, a exhibition space that celebrates black and brown art and provides a platform for marginalized youth of color to showcase their artwork. Additionally, the fellows will lead free printmaking workshops, providing the public with an outlet to create their own art and then display it in our nomadic Black & Brown Gallery. The fellows leading free printmaking workshops, providing the public with an outlet to create their own art and then display it in our nomadic Black & Brown Gallery.